On my walk through Central Park on March 13, I spotted a lot of red! At the feeders, there were house finches sporting red feathers. Near Swampy Pin Oak, I was feeding about 15 cardinals. 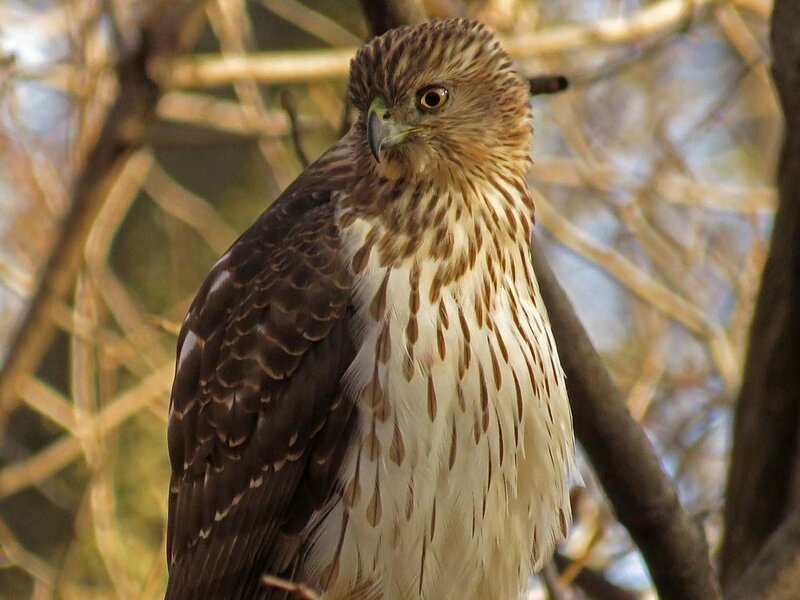 Then near Maintenance Meadow we spotted what we believe to be a juvenile red-shouldered hawk (it could also be a juvenile Cooper's hawk, but then my headline wouldn't work). 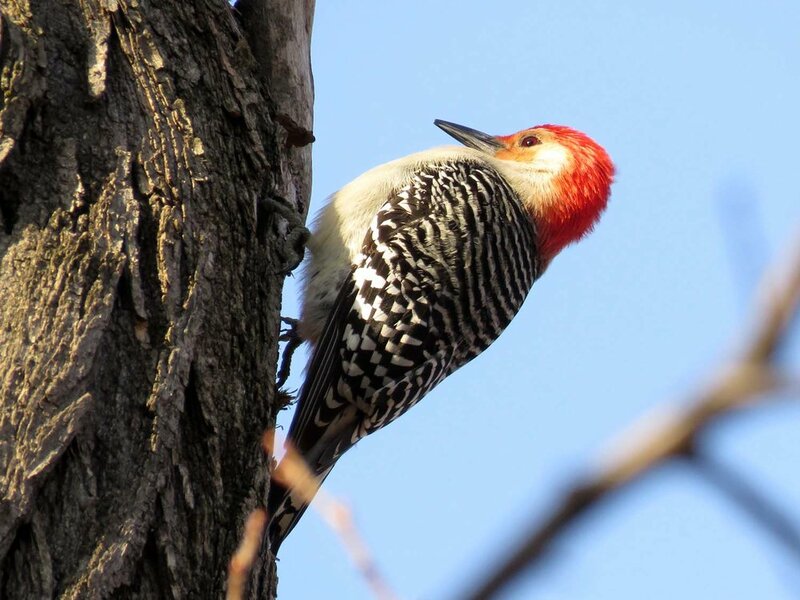 Near Rustic Shelter, a red-bellied woodpecker was pecking away. Then we stopped by the Hawk Bench to watch Octavia, a red-tailed hawk and Pale Male's mate, standing on the nest. You want a yellow cardinal! Check out my yellow! And my red! I ates me cranberries! 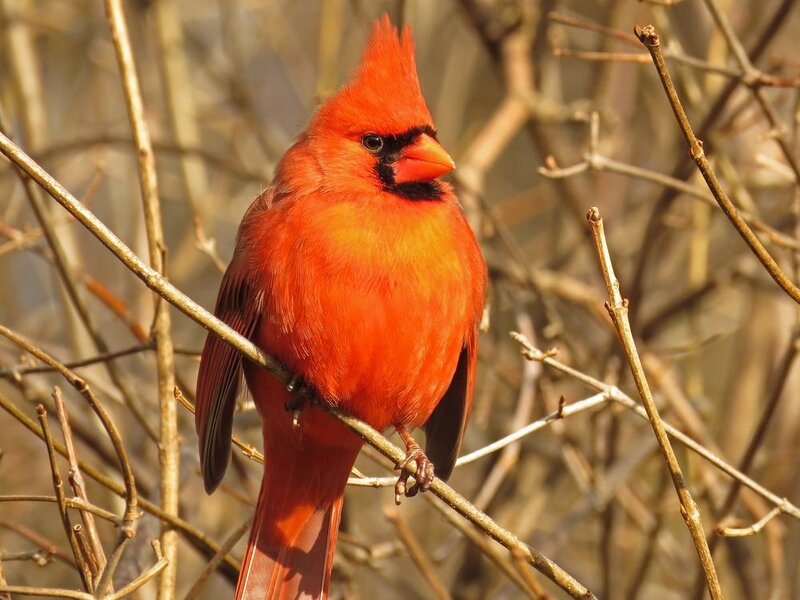 I still haven't done my northern cardinal Filming the Feathers video, but it will happen! I have so much video to process. Meanwhile, here are a couple of cardinals I saw on my Central Park jaunt. 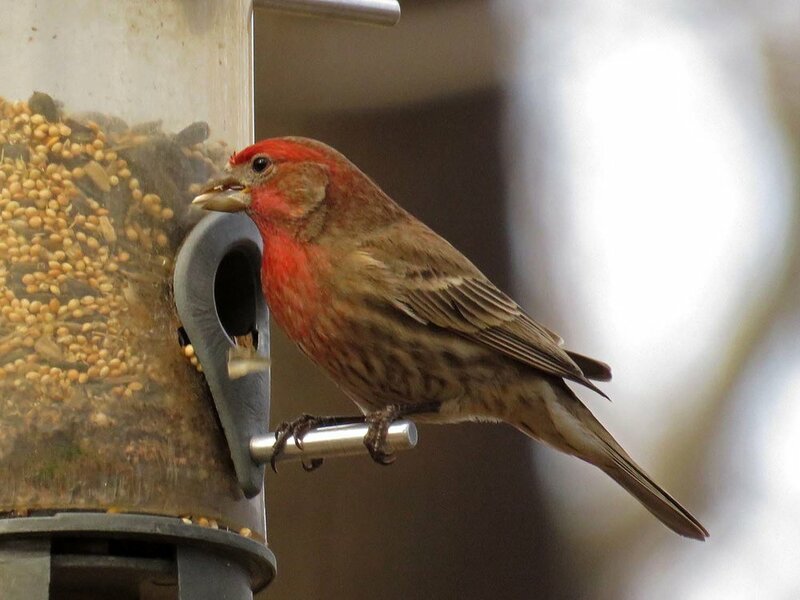 The house finches at the feeders are really showing off their red feathers! We think this youngster is a red-shouldered hawk. The bird has been hanging around the Ramble for at least a week, probably longer. 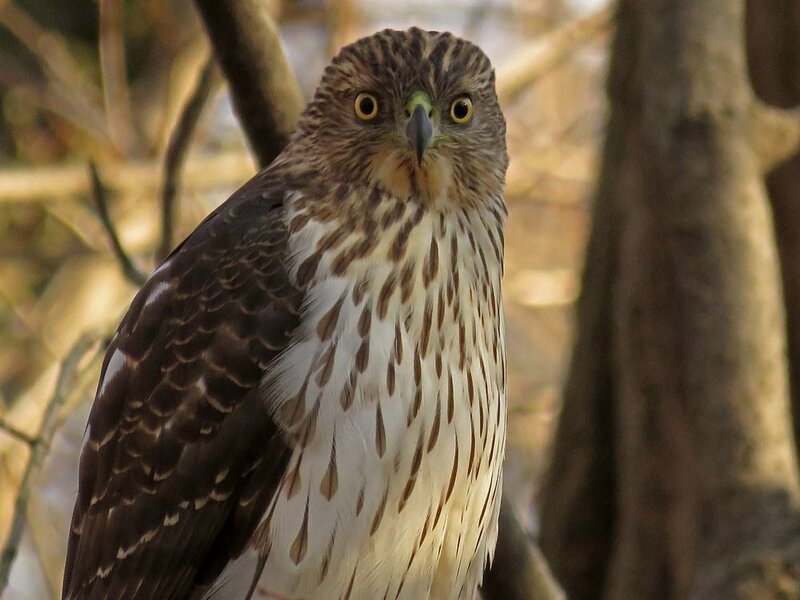 The kid behaves more like a red-shouldered hawk than a Cooper's hawk, hunting squirrels and rats more than birds. But I've checked field guides and searched photos, and I can't swear to the ID here. On my way to visit Woody (who has red eyes, but it was too dark to photograph my buddy), I stopped by to see Octavia, Pale Male's mate. The beautiful female red-tailed hawk we hope will have more babies to chase later this year.